The ultimate in luxurious lacquer. 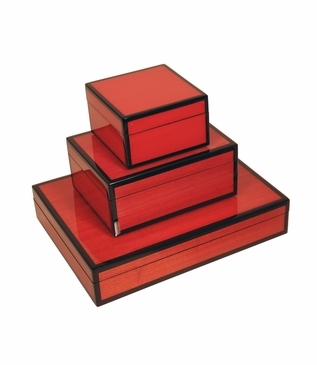 Ideal for keepsake storage or as a glamorous decorative display, these woodgrain boxes are first stained in red, then lacquered and hand-polished to perfection. 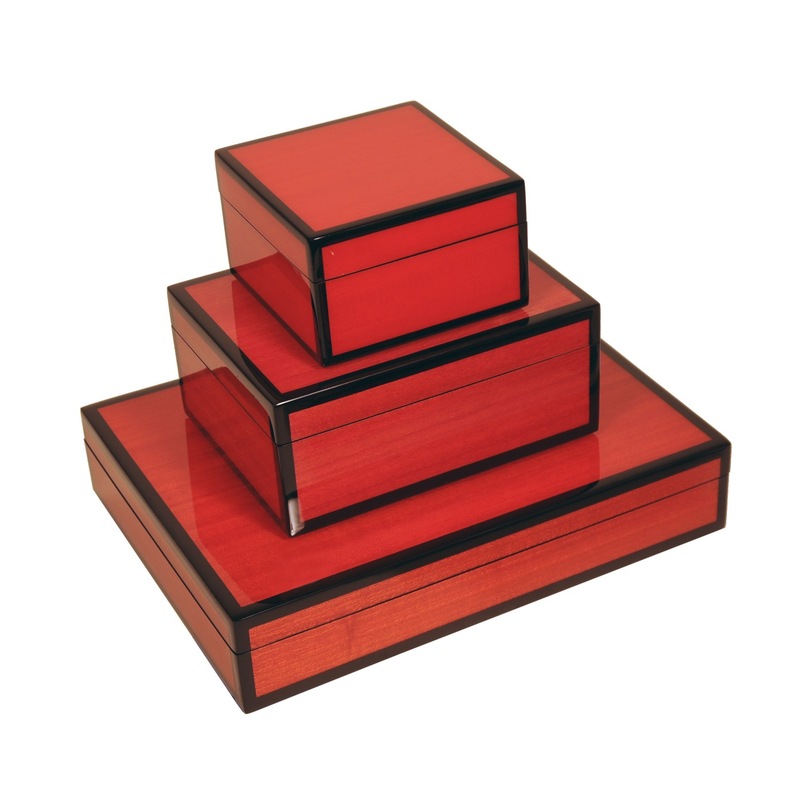 This colorway boasts a red woodgrain exterior with black trim detailing and an interior lined in supple velveteen. Each box ships with an individual, protective cloth cover.